Johns Hopkins senior Tal Bruno, a Writing Seminars major and defensive midfielder for the Hopkins men’s lacrosse team, earned a new moniker this past weekend: hero. The Writing Seminars is pleased to announce that Samuel Cheney, MFA ’19, has been awarded an MFA Scholarship in Poetry to the 2018 Sewanee Writers’ Conference. The conference, in its 29th session, gathers a distinguished faculty to provide instruction and criticism through workshops and craft lectures in poetry, fiction, and playwriting. 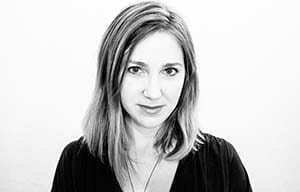 The Writing Seminars is delighted to announce that Mary Terrier, MFA 2017, has been awarded the 2018-2019 Carl Djerassi Fiction Fellowship at the Wisconsin Institute for Creative Writing. Terrier is a native of Austin, Texas. Her fiction has appeared or is forthcoming in Kenyon Review, Pleiades, and The Austin Chronicle. The Writing Seminars is pleased to announce that Michael Broida, MFA 2018, was awarded a Fulbright scholarship to teach in Portugal. The project so awarded comprises the teaching of English conversation with the aim of discussing American culture with Portuguese university students and community organizers.